Our mission is to help conserve the unique ecosystems of the greater Cascade-Siskiyou landscape for the benefit of all, through land stewardship, advocacy, education, and scientific research. To fulfill those objectives, we will independently initiate, as well as support ongoing efforts in, scientific research, public awareness, policy development, community engagement, land acquisition and stewardship. We do this in order to promote and restore the extraordinarily diverse, yet sensitive, and increasingly threatened, ecosystems within the greater Klamath-Siskiyou and Southern Cascade Region. 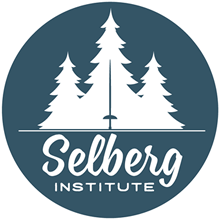 As part of that mission, the Selberg Institute currently manages two large parcels of land for conservation in Southern Oregon near the town of Ashland: the Sampson Creek Preserve and the Grizzly Peak Preserve, which together total nearly 9,200 acres of protected land. Our mission is to help conserve the unique ecosystems of the greater Cascade-Siskiyou landscape for the benefit of all, through land stewardship, advocacy, education and scientific research.